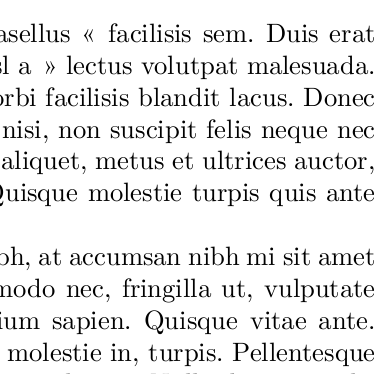 The UK TUG FAQ page is a wonderful treasure for anything LaTeX-related, but after I spent quite some time trying to install the Latin Modern fonts on my Ubuntu box, it appears that this entry could do with a bit more details. You can then stick all your “local” LaTeX files in there (as the TDS spec indicates, it is unclear what “local” means, either any file outside your TeX distribution, or a file created locally. Whatever you prefer, I guess); it is all very well explained there: https://help.ubuntu.com/community/LaTeX. (Not sure if this matters — I’m not familiar with updmap yet… — but I ran this in /tex-archive/fonts/lm/). Import lmodern and fontenc with the T1 option, and that should be it.